The New York Center for Photographic Arts (NYC4PA) invites photographers world-wide to submit images using any photographic process (print, image transfer, emulsion transfer, encaustic, black and white, color etc.). The submission deadline is November 30, 2012. Winners will receive a total of $2,500 in cash awards and winners and jurors selections will be presented in a group show at the 69 Leonard Gallery in the SOHO art district in New York city and an online gallery on the NYC4PA website with the Grand Prize winning image being posted on the NYC4PA home page. In addition, an exhibition catalog of the group show will be available and the gallery show will be listed and reviewed in a NY Gallery magazine. The entry fee is $35 for the first three images. Additional images may be submitted for $10 each. The same image may be submitted to more than one category and there is no limit to the number of images submitted. Thomas Werner is an American Photographer with a B.A. in Photography from the Art Center College of Design in Pasadena and an MFA in New Media and Performance from Long Island University. He is a professor at Parsons and the New School for Design and is the owner of The Thomas Werner Gallery. He works as a fine art and commercial photographer in New York City. Thomas is a director on the ASMP National Board, he lectures internationally on Photography, Video, Education, Business, and the Art Market. He has worked with the U.S. State Department as a cultural representative in Russia, has been a photography consultant for COACH and Rodale Publishing and has curated gallery and museum exhibitions in the U.S and internationally. 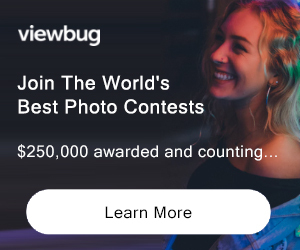 PRIZE DETAILS: Grand Prize: One photographer will receive $500. The image will be part of the NY Gallery show and the exhibition catalog, and be featured on the home page of NYC4PA website until December 2013. First Prizes: 4 photographers (one in each category) will receive $250. Their images will be exhibited in the NY Gallery show and in the exhibition catalog. Second Prizes: 4 photographers (one in each category) will receive $150. Their images will be exhibited in the NY Gallery show as well as in the exhibition catalog. Jurors’ Selections: 10 additional images will be included in the NY Gallery show and in the exhibition catalog. Honorable Mention: 30 additional images will each receive a certificate of honorable mention ELIGIBILITY: Open to All Not eligible to enter? - Find contest where you are. COPYRIGHT: All entrants to NYC4PA Open Calls for Entry, by virtue of their submission, are attesting that the images submitted are their own work and there has been no copyright infringement. USAGE RIGHTS: By submitting you grant NYC4PA the right to use your image(s) for promotion and advertisement of NYC4PA.